Royal Influence: As millions watched everywoman Kate Middleton marry her Prince Charming, all eyes were on the wedding details. Expect to see royal influences in 2012, particularly when it comes to gowns. Lace accents, cowl necks, and cap sleeves will be all the rage as brides channel their inner princess. 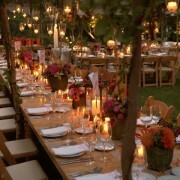 Food Trucks: 2011 saw the emergence of unique and eclectic food stations at wedding. 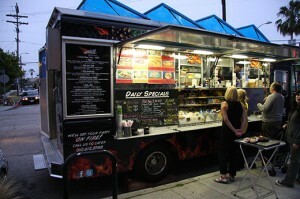 In 2012, wedding guests should expect to find food trucks parked outside wedding receptions and after-parties. As food trucks are gaining popularity across the nation, brides are taking notice and booking them to provide guests with fun and original fare. Mix & Match: As couples continue to seek ways to put their own unique mark on the wedding day, dresses and décor will become more eclectic and less uniform. Instead of matching bridesmaid dresses, many brides are opting to showcase their attendants in individual gowns and shoes that are cohesive without being identical. This trend will influence centerpieces, as well, with tabletops boasting several smaller assorted items lumped together, instead of towering centerpieces that look the same. 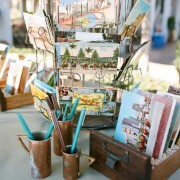 Photo Backdrops: Say goodbye to photo booths and hello to funky photo shoots. Wedding photographers are recognizing the desire to capture fun and quirky posed portraits of wedding guests, in lieu of strictly candids, so they’re showing up equipped with backdrops and props. 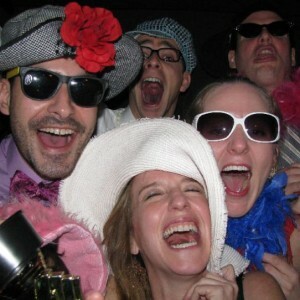 Guests can pose individually or alongside friends in a variety of hilarious and posh getups that make for awesome photos that create a great wedding memento. Nontraditional Wedding Gowns: If New York Bridal Fashion week is any indication, 2012 will be the year of the not-so-white wedding gown. Brides are moving away from traditional ideals of wedding gowns and colors by selecting dresses in various hues or with a punch of color. Blush is growing in popularity as the color of choice, while many women are opting for patterned gowns or dresses with an accented pop of color. 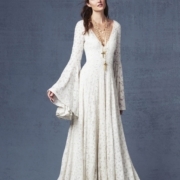 Two Dresses: One wedding dress simply isn’t enough anymore. For years, celebrity starlets have strutted their stuff on their wedding day in multiple gowns and blushing brides are beginning to follow suit. Don’t be surprised to see a lavish gown for the wedding ceremony be traded in for a more comfortable design for the reception. 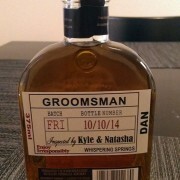 Smaller Guest Lists: With an emphasis on intimacy and informality, many couples are slashing their guest lists and opting for smaller affairs. Giant, over-the-top events might become a thing of the past as couples choose to say ‘I do’ amidst a close circle of family and friends. 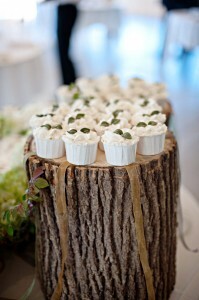 Nature Calls: Rustic and vintage themes will continue to prevail throughout 2012, with brides drawing inspiration from nature. Expect to see muted palettes, heavy on creams, greens, and browns, and an array of natural elements permeating the wedding décor.